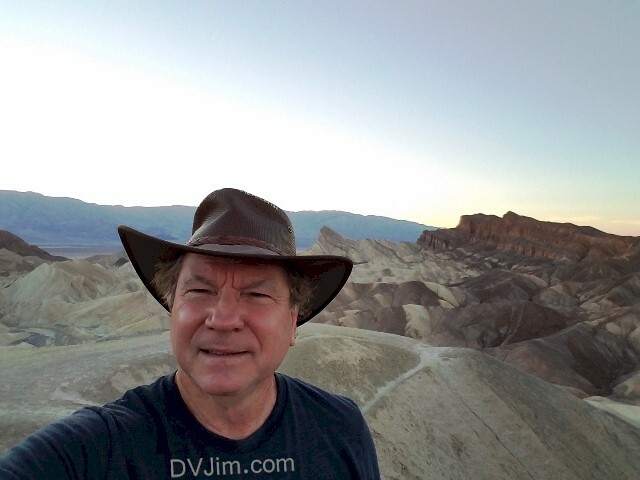 In November 2016, on my first trip to Death Valley National Park, I started with a sundown visit to Zabriskie Point. 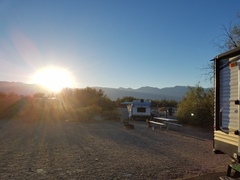 As darkness gathered on the floor of Death Valley, I located my campsite at the Furnace Creek Campground. The temperature felt warm, but after sunset, it no longer felt amazingly hot. With the doors and windows open on my coach, I was able to move indoors as the evening progressed. 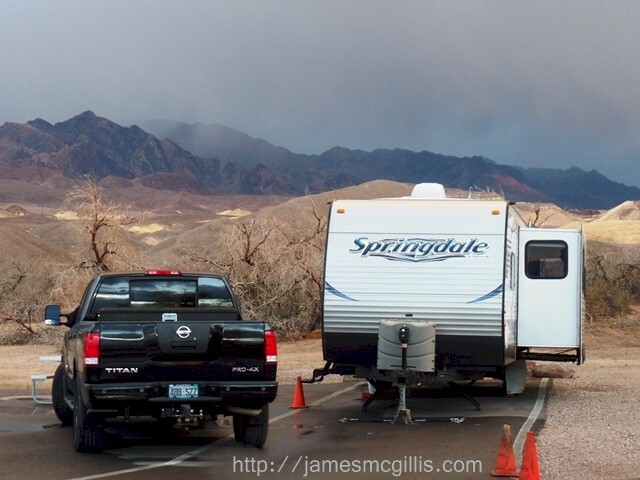 The campground itself will look familiar to anyone who has camped in a National Park. You will recognize the layout as a series of loop-roads. Each loop has fifteen or twenty campsites. 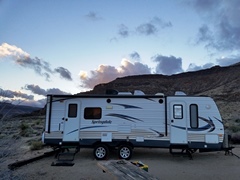 At Furnace Creek Campground, a recent change in management resulted in the repaving of all its roads and refurbishment of water and restroom facilities. 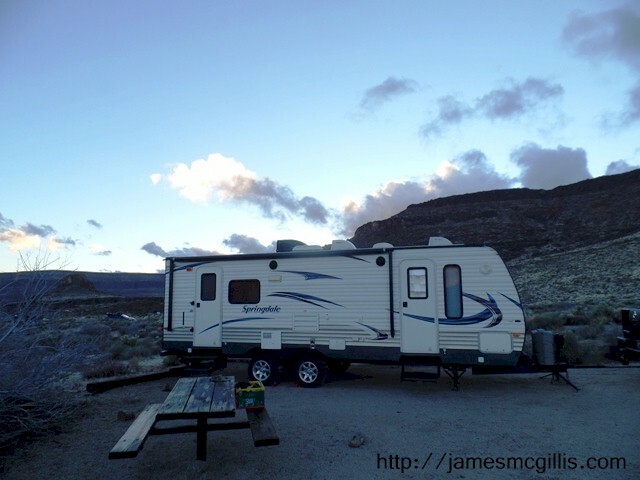 The setting is ancient, yet the campground feels new again. 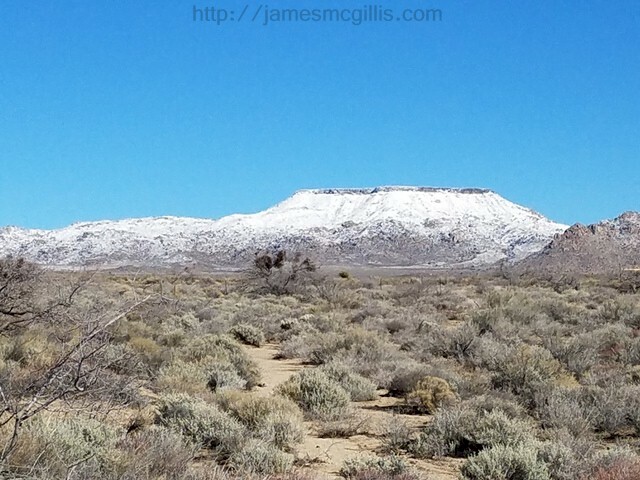 Unobstructed views of both the Amargosa Range and the Panamint Range add drama to the scene. 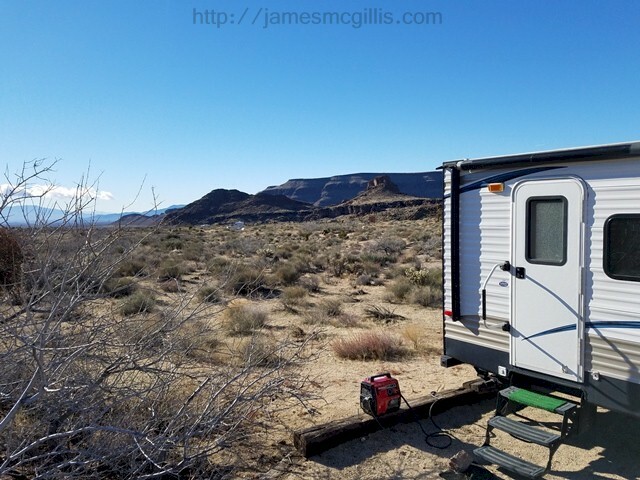 Since the few full-hookup RV-sites were long since reserved, I settled for two nights of dry camping in a dry desert. Luckily, the water supply at Furnace Creek is sufficient for cooking and bathing. 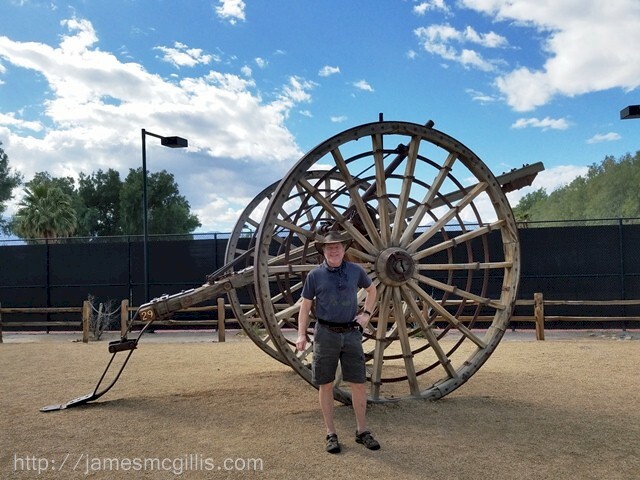 The first Anglos to visit Furnace Creek in 1849 barely found sufficient water to survive until their rescue in 1850. 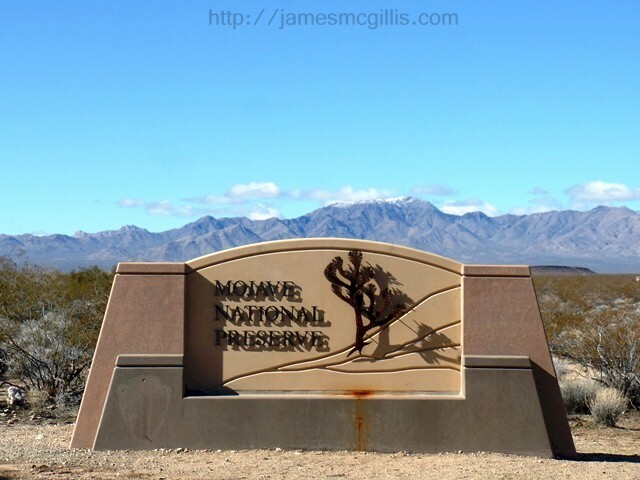 By the early twentieth century, residents and tourists at the village of Furnace Creek could enjoy potable water piped to the town from artesian springs in the nearby Amargosa Range. Today, groundwater withdrawal and storage tanks support what looks like a thriving oasis, but is actually doomed to return to its dry state at a time uncertain. 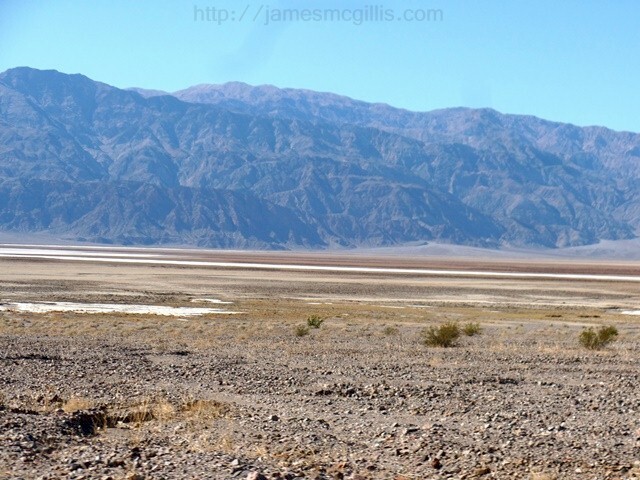 With such paltry rainfall in Death Valley, groundwater pumping is ultimately unsustainable. Except for rare seasonal flow, what once was a true oasis along Furnace Creek is now mostly a dry wash. Although there is a wide range of tourist services at Furnace Creek, the 2010 U.S. Census pegged the fulltime population as only twenty-four hardy souls. Admittedly, most of the public and private facilities in Furnace Creek are air-conditioned, making life easier for heat-weary visitors and workers. One exception to that is the Native Americans known as the Timbisha Shoshone Tribe . As a federally recognized tribe, their small, private enclave adjacent to Furnace Creek appeared to be hot, dusty and dry. What few trees and shrubs that survive the harsh climate provide scant shade or relief from the sweeping winds. Recent data suggest that the Timbisha tribal population in Death Valley is around forty individuals. 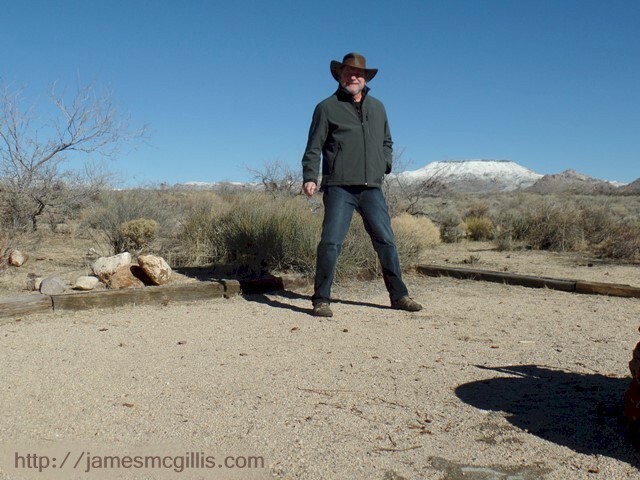 During my November 2016 visit, there was not a trace of water on the vast salt pan, including the Upper Basin, Middle Basin and Badwater, which lays almost 280-feet below sea level. 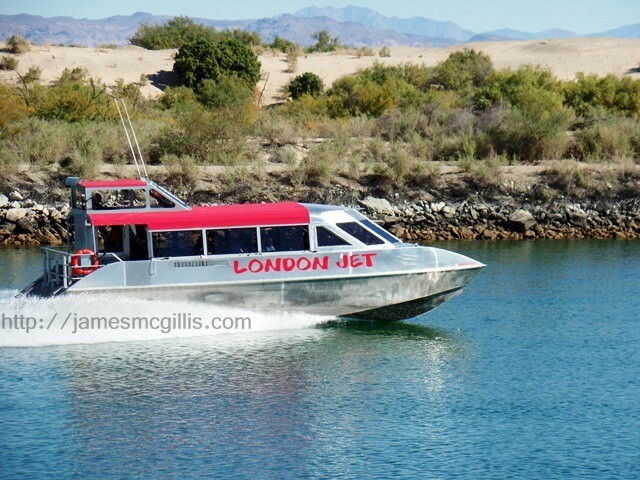 Furnace Creek, on the other hand, is only 190-feet below sea level. 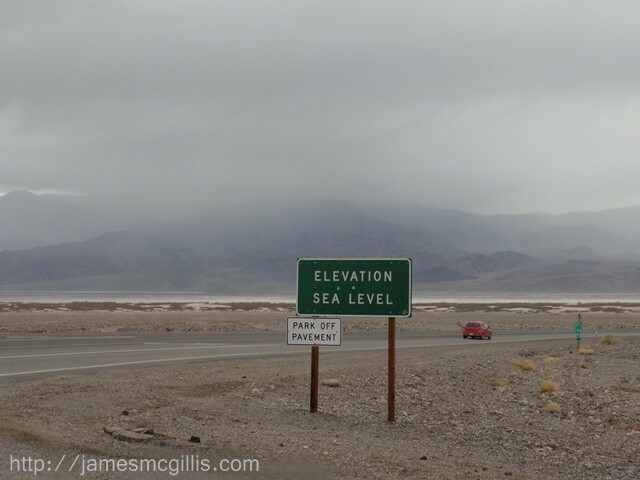 This difference in elevation means that in wet years, water will overflow the Upper Basin, pass through the Middle Basin and form a large, shallow lake at Badwater Basin. 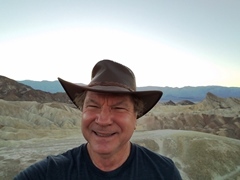 Salt, borax and alkali, which dries in the connecting channels suggests a short-lived, landlocked stream that may flow through Death Valley in the springtime. Upon my return in February 2017, all three basins contained surface water. 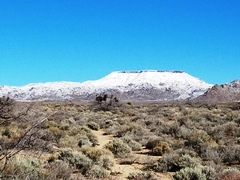 By April 2017, almost all of the surface water had evaporated or settled into the graben, leaving the salt flats dry and susceptible to wind erosion and vandalism. 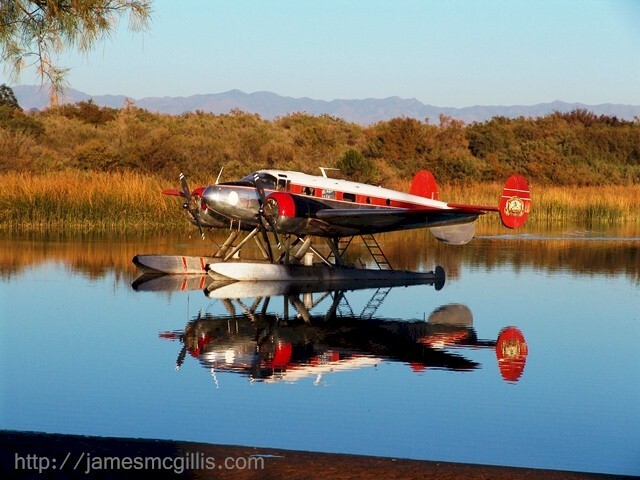 While visiting Furnace Creek in February 2017, water seemed to be everywhere. The dry lakes were wet. Furnace Creek flowed down its traditional course and water fell from the sky, in the form of rain. Upon arrival, the evidence of flood damage to roads and trails was evident. 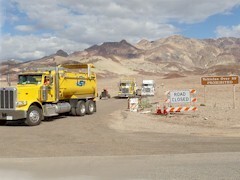 Orange traffic cones stood guard at many small washouts along Highway 190, leading to Furnace Creek. 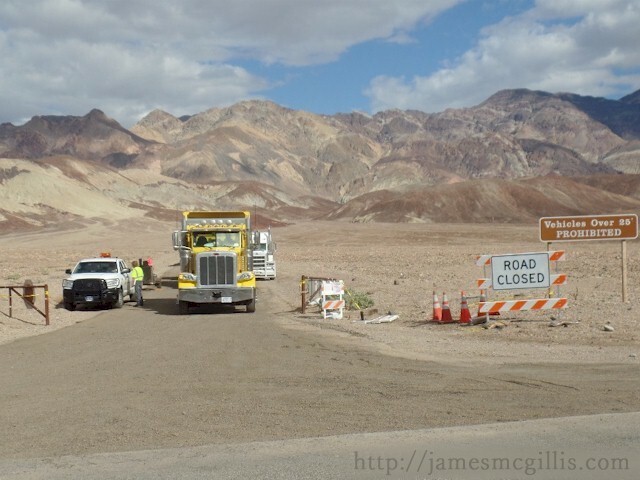 Nearby Artists Drive, a one-way formerly paved road through spectacular canyon scenery remained washed out. After historic winter rains had swept that road away in many places, workers used heavy machinery to make repairs. 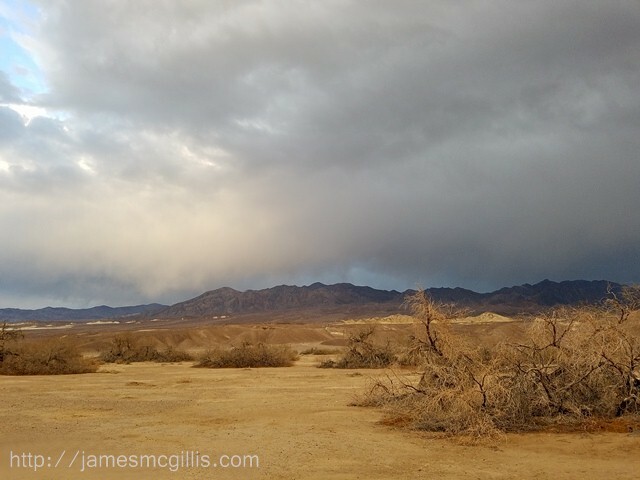 During our February visit, only gentle showers passed through Furnace Creek. The showers cleared the air, leaving the scent of moist creosote in an otherwise desolate place. Why was the winter of 2017 so wet in Death Valley? My personal observations may or may not be scientifically correct, but here is my theory. North of Furnace Creek the Panamint Range to the west and the Amargosa Range to the east form a sort of wind tunnel. 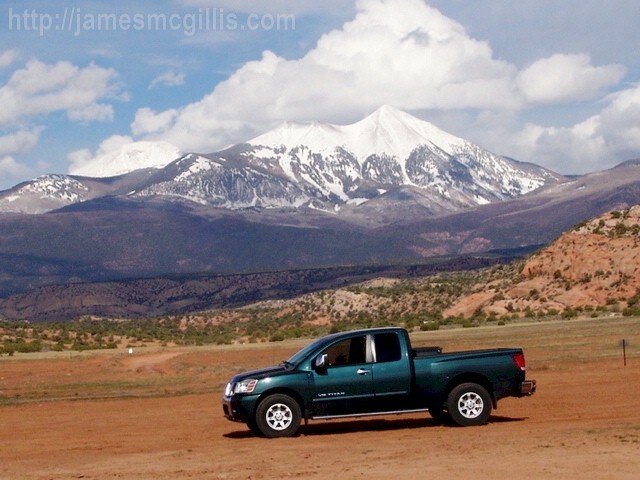 Between Tin Mountain (8,953 ft. elev.) and Grapevine Peak (8,743 ft. elev. ), a cyclonic effect can arise. If little moisture is available, a whirlwind or “dust devil” will rise and sweep toward Furnace Creek and Badwater to the south. If the counter-clockwise wind is strong enough, it can pull moisture from the Eastern Sierra Nevada Range and feed it toward the salt flats of Death Valley. Another contributing factor in rainfall is dust particles. In February, I watched a tall, thin strand of wind shear traveling along the course I already described. As it reached the Middle Basin, it had enough strength to kick up untold amounts of dust from the periphery of the standing water. Soon, we could see a large cloud of dust and rain forming against the eastern slopes of the Panamint Range. Upon our return to the campground, another shower swept from North to South. 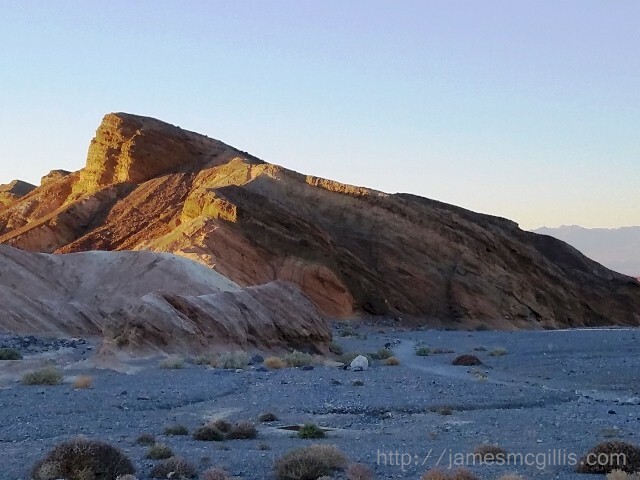 With the minimal moisture we experienced, only the rock strewn landscape hinted at floodwaters issuing forth from every canyon and wash in Death Valley. The recent winter rains must have been a dangerous, yet remarkable sight. By April 12, 2017, when I again visited Furnace Creek, it was hot and dusty. 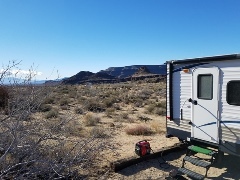 Again, I dry camped, but this time it was warmer, approaching 100 °F (37.8 °C). With the wind and sand looking to sandblast my truck, I decided to hunker down inside the trailer until the wind abated. Using my cordless vacuum to keep up with the dust in my coach was almost a full time job. If I had opened the door, it might have blown off its hinges, but would surely fill my coach with even more dust. With my afternoon spent inside a hot coach, I began to understand how the original pioneers of 1849 must have felt. Trying to allay both wind and dust, they had nothing more than brush lean-tos to protect them against the onslaught. For me, temperatures above 100 °F (37.8 °C) are uncomfortable. In the heat of summer, many Norwegians visit Death Valley. Considering the cool air in their home country, Norwegians come to Death Valley in the summer just to feel outdoor heat for the first time in their lives. 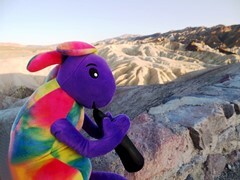 Whether my Norwegian story is true or not, German, Dutch other Northern Europeans find Death Valley to their liking. 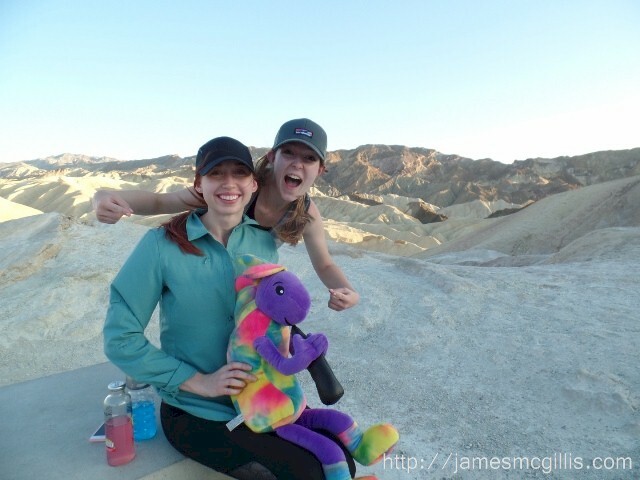 No matter what time of year, it is common to hear people speaking various European languages in and around Death Valley National Park. Since older members of the Timbisha Shoshone Tribe still speak their native language, you might have the rare opportunity to hear that language spoken at Furnace Creek, as well. Zabriskie Point in Death Valley - It's not a gap...it's an abyss! 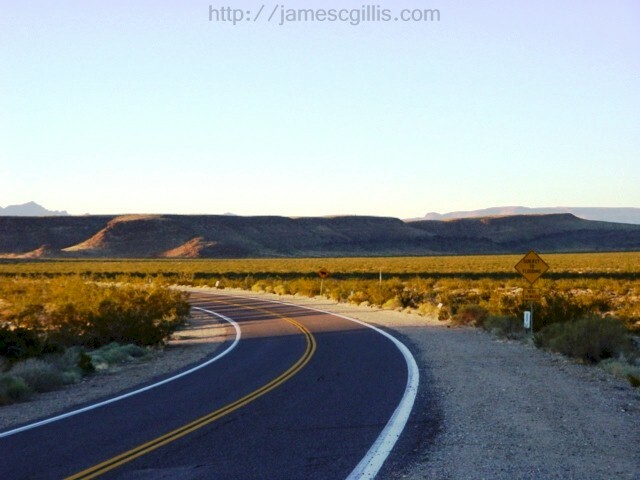 For most of my life, I avoided Death Valley like the plague. The stories about an ill-fated attempt to reach California by wagon train in 1849 - 1850 created a daunting image. The graben of Death Valley holds the record as the hottest place on Earth, with five consecutive days in 1913 registering 129 °F (54 °C), or above. 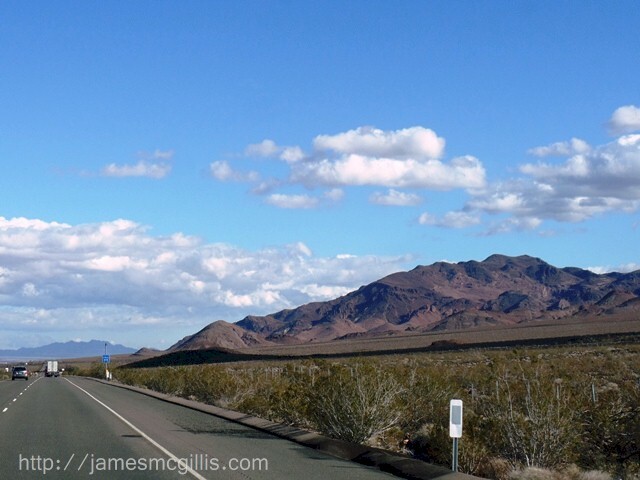 Annual precipitation at Death Valley averages less than 2.5-inches. Further, its existence as the lowest point of elevation in the United States added to the negative connotations in my mind. 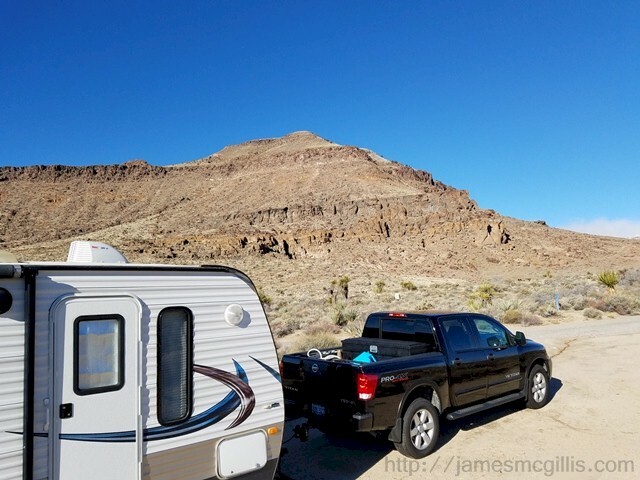 Then, in November 2016, I traveled from Las Vegas, through Pahrump, Nevada and on to Death Valley National Park, California. Other than photos and video I had viewed of the area, I had no idea what to expect. 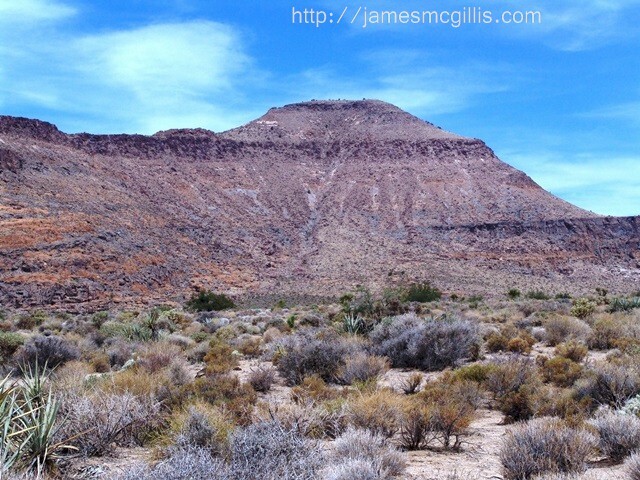 What I found upon arrival was reminiscent of a Martian landscape, rather than Earth. Volcanism, erosion and rocky or sandy soil abounded. As distinguished from the face of Mars, there were a few hardy plants and animals, but otherwise, normal life-support seemed unlikely. 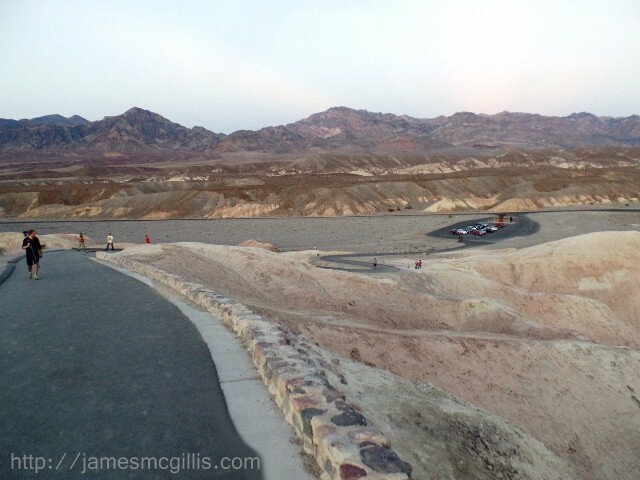 Before arriving at my campsite in Furnace Creek, I visited Zabriskie Point. 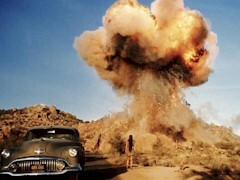 Relatively unknown until the latter 20th century, Zabriskie Point became the prime location and namesake of Michelangelo Antonioni’s 1970 counterculture flick. Filmed in 1969, with music by Pink Floyd and Jerry Garcia, the movie features an incoherent plot, as if the cast and crew were not only blazing in the sun, but also blazing on lysergic acid (LSD). In fact, the often-panned, but now cinematically celebrated film "set the scene" for many other desert trips of fame or infamy. On Oct. 12, 1969, at Barker Ranch, in Death Valley, just north of the San Bernardino County town of Trona, the murder spree of the Charles Manson “family” ended with his arrest. 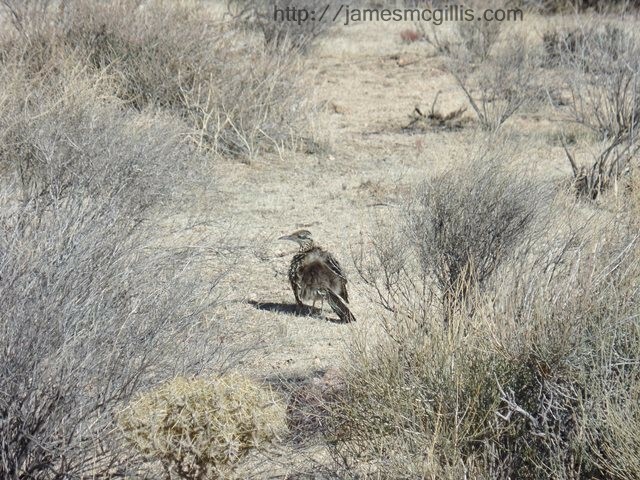 In September 1973, members of the rock band, The Eagles accompanied singer and songwriter Gram Parsons to the place and time of his death in Joshua Tree, California. According to public records, between October 2003 and November 2013, twenty people of lesser fame died in or around Death Valley. On July 6, 2014, hikers in the badlands near Zabriskie Point discovered the body of British actor Dave Legeno, known for his role as werewolf Fenrir Greyback in three of the ‘Harry Potter’ films. Temperatures at the time of Legeno’s death were as much as 123 °F (50.5 °C). In the film Zabriskie Point, I remember a scene with the male and female stars standing on a tiny pinnacle of land. 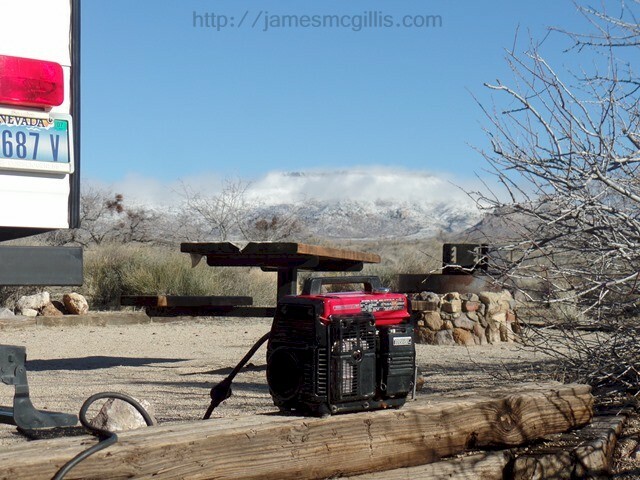 Filmed at sunset, one can see the Panamint Range looming and glooming in the west. As the stars embrace, the camera revolves around them. Amid clouds of dust, we see lots of skin and writhing bodies. Amidst the whipping wind and the grand vistas at sundown, we see dozens of couples apparently copulating on the hillocks below. After almost fifty years, both film acolytes and the curious continue to trek up the hill to see that famous spot. That tiny pinnacle of film-fame has eroded into dust. Oh, that the faithful shall not trample His grave, too. In 2004, a flash flood swept across the highway, uprooting and destroying the substantial concrete pit-toilets previously installed in the parking area. After extensive repairs, both then and in 2014, there is now a paved pathway, leading up to a viewing plaza. With its low stone wall, the plaza is about the size of a baseball diamond. 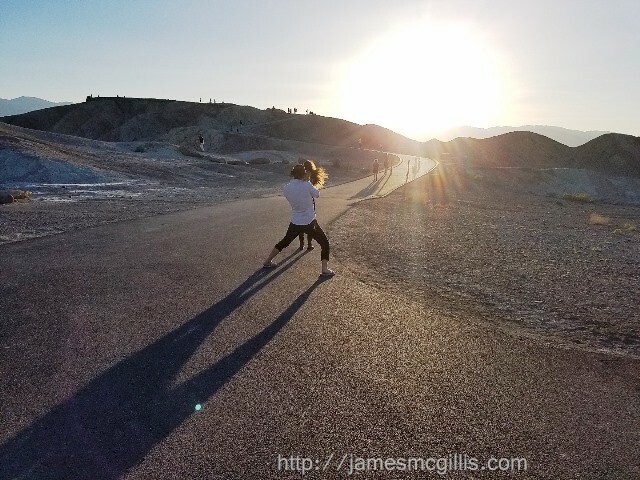 Although the once remote place called Zabriskie Point is no longer so remote, the views at sundown are every bit as exciting or sublime, depending on one’s energies at the time. On November 10, 2016, my first visit to Zabriskie point occured less than two days after the U.S. election of “He Who Cannot Be Named” (HWCBN). 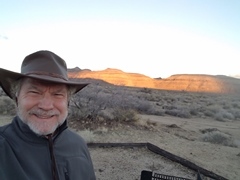 After sunset, I lingered to talk with people from across the United States, and beyond. “Do you think he will open up the national parks and monuments for oil and gas exploration?” one man asked. “No”, I replied. “The U.S. Antiquities Act of 1906, signed by then president Theodore Roosevelt will protect our esteemed parks and monuments from HWCBN and his penchant for Old Energy exploitation”. On April 27, 2017, HWCBN signed an executive order reviewing and attempting to rollback or eliminate every U.S. national monument created since the Grand Staircase Escalante National Monument, during the Clinton administration. The final list includes the Grand Canyon-Parashant National Monument in Arizona, Bears Ears National Monument in Utah and Craters of the Moon in Idaho. Thank you, Mr. HWCBN for protecting our national heritage. On an April 2017 visit to Zabriskie Point, I noticed a curious recurring phenomenon. 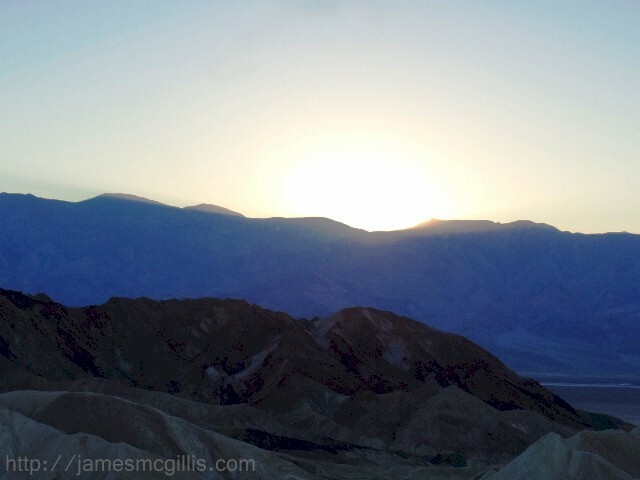 Once again, the sun set through the abysmal gap, framed by the Panamint Range, which is visible west of Zabriskie Point. At sunset, the place darkened like a theater when the lights go down. 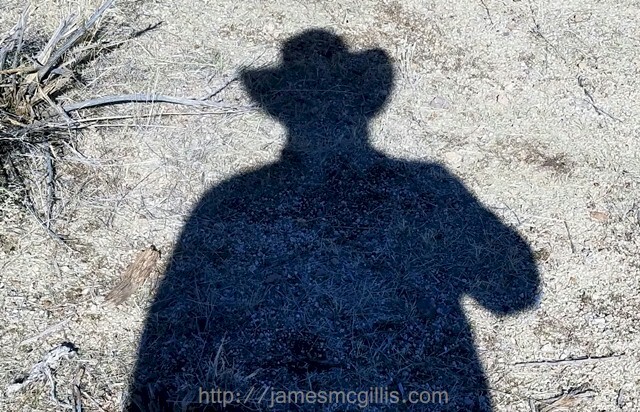 After staring toward the sun for the final fifteen minutes of daylight, my eyes could not readily adjust to the twilight and approaching darkness. Although the sun still shone for a time on the Amargosa Range to the east, the Zabriskie Point plaza looked like there had been a solar eclipse. 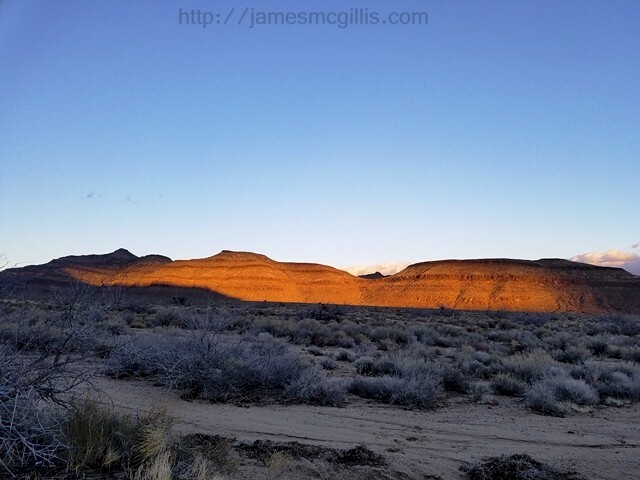 After gazing around the plaza, I snapped a few photos of the sunlight as it receded from the Amargosa Range. As darkness rapidly approached, all visible landforms were in shadow. Since there was nothing more to see, I sauntered down the sinuous pathway that led to the parking lot below. Here is the curious part. At the end of each visit, I spotted several photographers carrying long-lens cameras. Each was hoofing it up the pathway to the viewing area. I wanted to say, “It is all over. Don’t even bother going up there. There is nothing more to see”. If you plan to visit Zabriskie Point and view that famous sunset, do not refer to the official sunset times listed in your almanac or on a weather website. 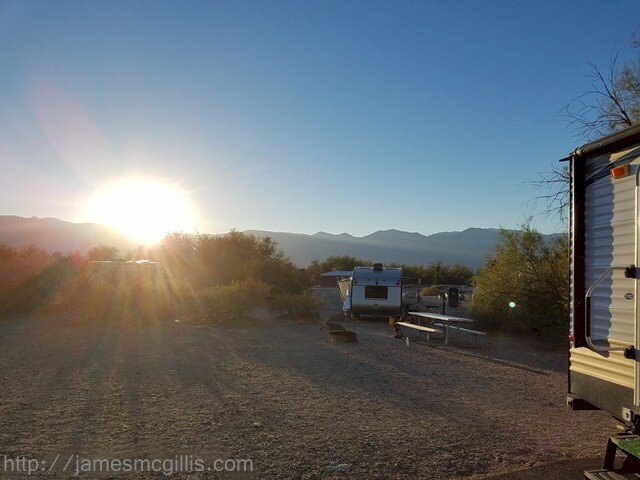 They will list the time of day when the sun slips below the Earth’s horizon, not when it disappears behind the Panamint Range, which may be ten or fifteen minutes earlier. Each time that I observed a Zabriskie Point sunset, several photographers ran toward the ancient plaza. With the sun already set, one can only hope that they arrived in time to take pictures of the abyss. In 1965, my father, Dr. Loron N. McGillis and I visited Durango, Colorado. 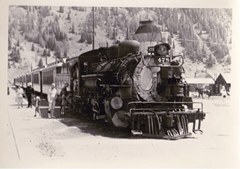 There we rode on the old Denver & Rio Grande Western Railroad (D&RGW) to Silverton and back. No longer a freight or ore hauler of any distinction, the narrow gauge steam trains were quaint, yet powerful. During our stopover at Silverton, my father and I photographed the waiting train and visited with its engineer. 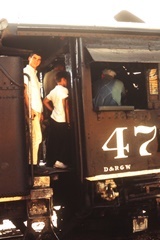 In December 2013, while writing about our 1965 excursion, I included an image of our engineer in one of my articles. In the original photo caption, I referred to him as “our unnamed engineer”. When I published his picture, I thought, “Someone must surely know who this man is and will contact me with his name”. In October 2014, I received an email from Mr. Paul Connor, who is the grandson of our 1965 locomotive engineer, Mr. Steve Connor. Over the course of several emails, I learned more about the Connor name in D&RGW history. As Paul wrote to me, “I am Steve Connor’s oldest grandson. My father, George Connor worked as a brakeman/conductor for the D&RGW. 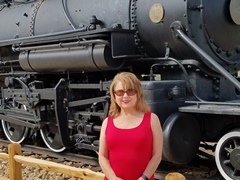 I spent the first twenty-one years of my career working for the D&RGW and Southern Pacific Railroad. 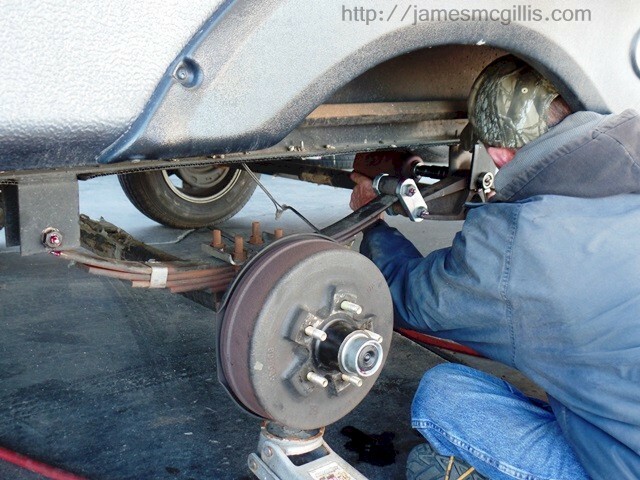 After hiring out at Durango in 1974, I began there as a mechanical laborer/coach cleaner. 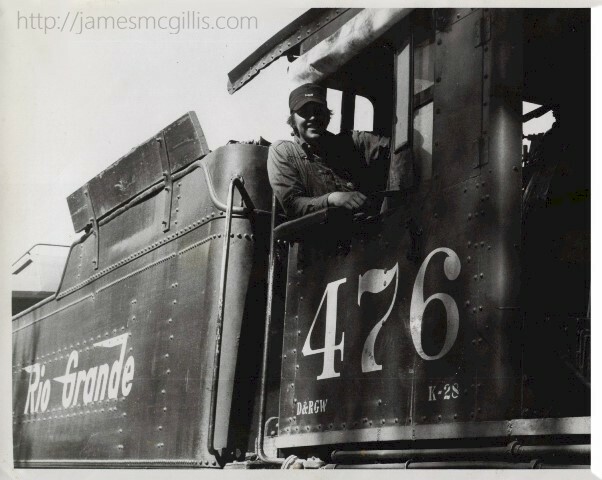 In 1976, I started as fireman at Durango, and later worked out of Pueblo, Minturn, Alamosa and Grand Junction as a locomotive engineer/fireman. In 1995 I was promoted to Road Foreman of Engines and have held the same job since. After the Union Pacific merger with Southern Pacific, my title became Manager of Operating Practices, working out of Grand Junction. 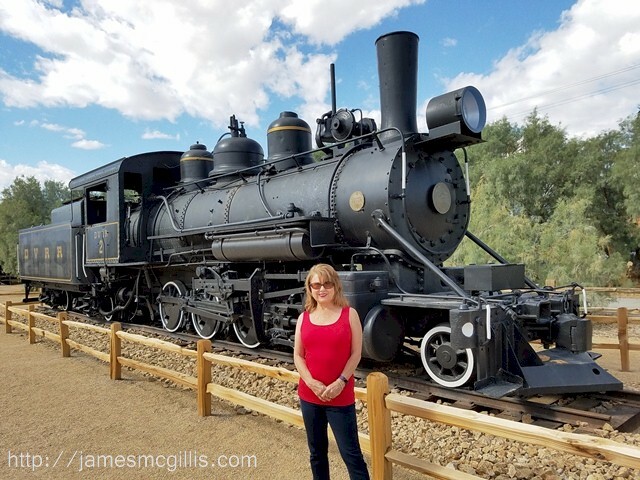 All told, the Connor family currently has somewhere around one hundred and twenty years of railroading history in western Colorado. I say this because I am not certain of my great grandfather, Richard Connor's hire date. We think he started in the 1800's when the tracks were being laid into Durango. 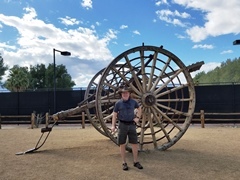 Regarding his grandfather, Paul Connor wrote, “Steve Connor was born in the section house at Hermosa, just north of Durango to Richard and Julia Connor. He hired out around 1923 and retired in 1971 with forty-eight years, but was furloughed for many years during the Great Depression. At times, when they were short of manpower, he made trips on the Rio Grande Southern. As the narrow gauge dried up, he would work at Durango in the summers and work out of Alamosa in the winters. The Alamosa/Durango seniority rosters were combined during those years. I always joked that by the time he was number one in seniority, there would be only one job left on the narrow gauge. 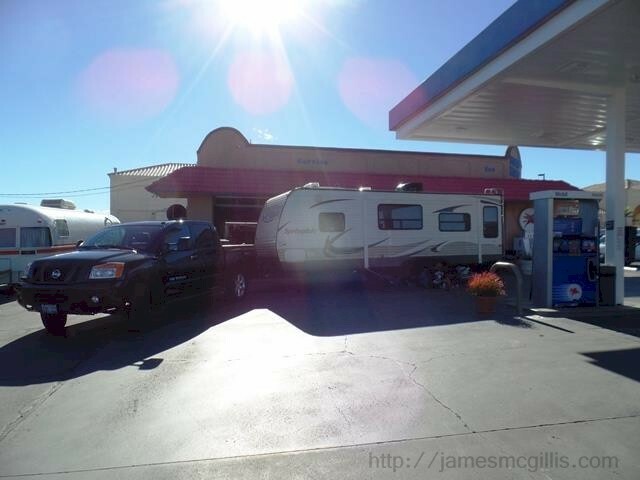 Each October 15 for the past three years, I have closed the season while staying at the United Campgrounds of Durango RV Park. 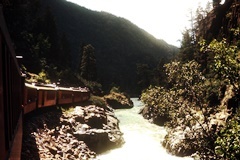 In cooperation with the campground, I operate a live webcam that features the Durango & Silverton Narrow Gauge Railroad. If a webcam viewer is lucky, they may see the steam train running either north or south through the RV Park. By October, the Durango & Silverton Narrow Gauge Railroad runs only one round-trip train to Silverton each day. During the fall season, the railroad uses mostly their larger 480 Series or K-36 locomotives, so that they can operate a longer single train. By October, it is rare to see a smaller 470 Series or K-28 locomotive, with its lesser tractive power. Still, if you visit Durango during the summer season, you might have the opportunity to see or ride behind locomotive 478, which was the favorite of twentieth century railroading legend and D&RGW Engineer, the late Steve Connor (d.1974).